Ground floor, shop 7, Times square arcade II, near avalon hotel, opp.mann party plot, simdhubhavan road, Ahmedabad, India 380054. 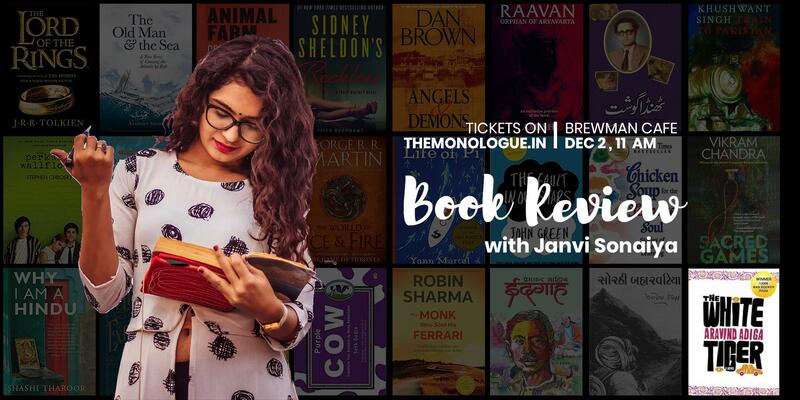 On the 2nd of December, we’re coming back with the Book Review Meetup at Brewman Coffee, Sindhu Bhavan road. Reading is the calmest and profound hobby and it’s time we get together and discuss the books we’ve read. The book for this meetup is THE WHITE TIGER by ARAVIND ADIGA. The White Tiger is the debut novel by Indian author Aravind Adiga. It was first published in 2008 and won the 40th Man Booker Prize in the same year. The novel provides a darkly humorous perspective of India’s class struggle in a globalized world as told through a retrospective narration from Balram Halwai, a village boy. It’ll be fruitful if you’ve read the book and to the vivid readers, it’s something you shouldn’t miss. Read it fast and come along, Let’s review the voice of the colossal underclass.